Last week I published an article about signs your dog might be a great competitor at dog sports. For some owners, dog sports isn't their thing. For them it is about sharing their dog with people who will benefit from their presence. For those people, therapy work is their calling. While not every dog is made for this kind of work, there are certain characteristics that set some dogs apart. If your dog seeks people out over other dogs and would love to live almost in that person's skin, then therapy work might be a great job for your dog. Therapy dogs need to enjoy the company of strangers for long periods of time. The people they meet may sound weird or move in strange ways, so a tolerant dog with a huge love of people is an important part of being a good therapy dog candidate. Working therapy dogs are not there to socialize with other dogs. It is very important that for the safety of everyone involved, that a therapy dog be able to ignore other dogs and save canine socializing for another day. Locations that many therapy dogs visit include nursing homes and hospitals. To visit these locations, a working therapy dog must be comfortable and have calm manners around walkers, wheelchairs, canes, bandages, and tubing. And even if you plan on working with children, you may run into crutches as well as other equipment. To help your dog get used to things like this, start with similar shaped or moving equipment such as a shopping cart or stroller. There are many therapy dog programs that involve children, from court houses, to hospitals, to schools and libraries. Working with kids requires a dog to be calm and relaxed even when the kids get excited. And even if you don't plan to work with kids, they pop up everywhere including nursing homes and VA hospitals. 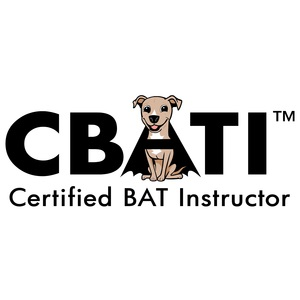 Basic obedience such as sit, down, stay and come are important but even more so are calm manners. Your dog will have to sit patiently for up to an hour while strangers pet and talk to them. Some will be frail, sick or have trouble balancing themselves. It is of the utmost that a working therapy dog be able to sit calmly for petting as well as not lick or paw strangers. While number 1 mentioned a love of people, it is also important your dog likes to be touched by strangers. Children can be rough or fast moving with their hands, while the elderly may move slowly, or pet with arthritic hands. A therapy dog should also be tolerant of hugs. Not all dogs like hugs, (in fact most do not) especially from strangers. Make sure if you think your dog does like hugs, that they are actually enjoying it and not simply putting up with it. If your dog exhibits one or more of their signs, we recommend signing your dog up for an Advanced Manners class like ours, or contacting your local testing organizations to find an evaluator near you. Special Note: It is important to realize that "Therapy Dogs" are not "Service Dogs". Service Dogs serve the legally disabled and are allowed to accompany them into pubic places where other dogs may not be allowed. Therapy Dogs are only allowed in establishments they are invited into to facilitate a therapeutic experience with specific individuals or groups.